Preheat oven to 400° F. and place rack in centre of oven. Grease a 9-inch cake pan and line the bottom with parchment paper, for easy removal. You can also bake this in a greased cast-iron skillet. With an electric mixer or with a stand mixer, beat the butter and 2/3 cup sugar at medium-high speed until light and fluffy, about 2 minutes. Beat in the vanilla. Add the egg and beat well. With the mixer at low speed, add the flour mixture in 3 batches, alternating with the buttermilk, beginning and ending with flour. Mix just until combined. Spoon the batter into prepared cake pan or skillet, smoothing top. 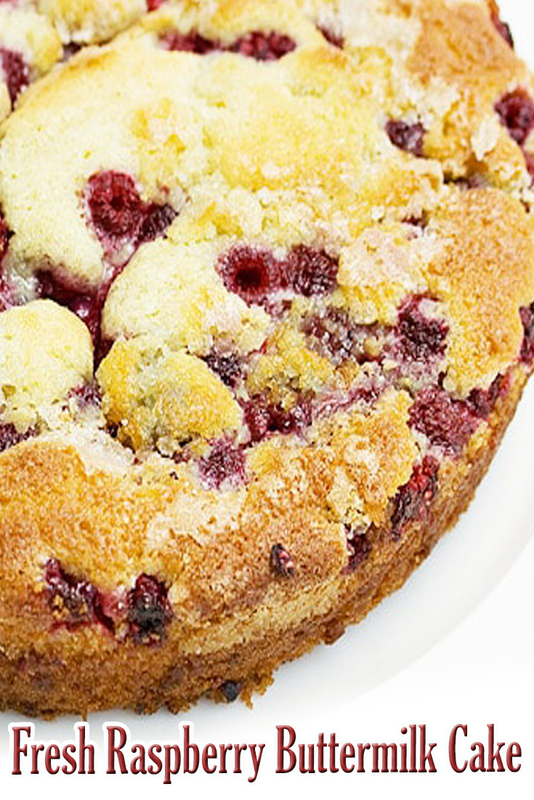 Scatter raspberries evenly over the top and sprinkle with remaining 1 1/2 tablespoons sugar. Bake until cake is golden and a wooden pick inserted into centre comes out clean, about 25 to 30 minutes. Cool in the pan 10 minutes. If baked in a skillet, serve right from the skillet. If baked in a cake pan, then turn out onto a rack and allow to cool 10 to 15 minutes more. Invert onto a plate. *I have baked this recipe successfully with an 8-inch pan but some have reported it spilling over with an 8-inch pan. If you only have 8-inch, give a try but bake in on top of a baking sheet to catch any spill-over, just in case.